We stock five lines and thirteen different drum lugs – quality parts that are priced right! 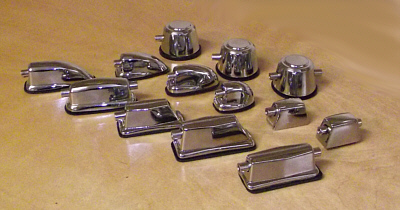 We have sold so many drum lugs over the years, it’s difficult to come up with a number. Our selection of lugs include a vintage appearance (american and asian), as well as a contemporary look and some in-between. If you need lugs, you have come to the right place.We also carry different replacement lug inserts and rubber tabs and these are available if you wish to purchase them separately.